Our board keeps us focused on what matters most. Our board counsels Flamboyan’s President and provides governance over the business, affairs, and impact of the organization. Rea Carey has served on the Flamboyan board of directors since its founding. She shares a vision for improved outcomes and excellence in public education for all children. She currently serves as the executive director of the National Gay and Lesbian Task Force, a nonprofit organization that builds the political power of the lesbian, gay, bisexual, and transgender (LGBT) community from the ground up. The Task Force is the country’s premier social justice organization fighting to improve the lives of LGBT people, and working to create positive, lasting change and opportunity for all. She has over 20 years of experience in nonprofit start-up, fundraising, program oversight, boards of directors, management and leadership development. She has worked extensively in HIV/AIDS prevention for youth and young adults. Rea was the founding executive director of the National Youth Advocacy Coalition. In 1999, the Advocate named Rea one of its “Best and Brightest” for individual contributions to the LGBT rights movement. 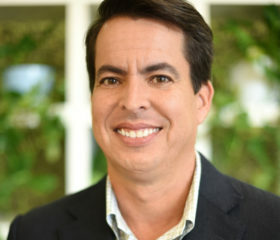 Rea served on the board of directors for Sapientis, which advances the social and economic development of Puerto Rico by developing leaders who improve public education, from 2001 – 2005. 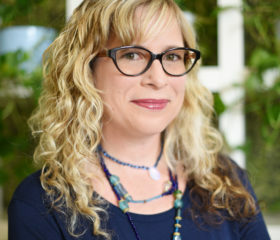 She has also served as an advisor to individual major donors and foundations and has served on the advisory boards for such wide-ranging publications as Teen People magazine and the Georgetown University Journal of Gender and the Law. Rea earned her master’s degree in public administration from Harvard University’s Kennedy School of Government. She lives in Washington, DC with her partner and daughter. 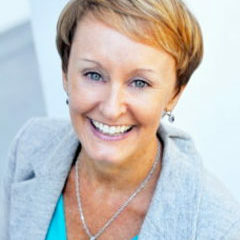 Kristin Ehrgood is Flamboyan Foundation’s President and Board Chair. Since launching Flamboyan in 2008, Kristin has led the Foundation’s work to ensure a day where every child, particularly those most impacted by inequity, will have the opportunity to live a fulfilling life. 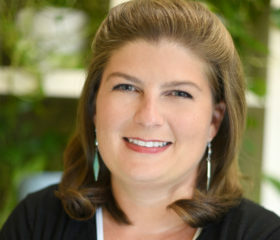 An education advocate, Kristin oversees the Foundation’s efforts to ensure students are prepared to succeed in school and beyond, tailoring programs to meet the unique contexts in which the Foundation operates. In D.C., Flamboyan is accelerating student learning by helping educators and school systems transform their relationships with families. In Puerto Rico, Flamboyan is ensuring students are reading in Spanish on grade level by third grade while building a thriving philanthropic and nonprofit sector. Flamboyan also created the Flamboyan Arts Fund in partnership with Lin-Manuel Miranda, his family, and the Hamilton musical to preserve, amplify, and sustain the arts in Puerto Rico post-Hurricane María. Flamboyan also works on a range of collaborative initiatives that allow the Foundation to flexibly meet the changing needs of communities as they arise. Kristin’s commitment to championing educational equity began early in her career, from her time teaching in Baton Rouge and Trenton as a Teach for America (TFA) corps member to her promotion to Executive Director of the New Jersey region and on to Chicago and other locations around the country as the Director of New Site Development. After earning her Master in Public Administration from the Harvard Kennedy School, she began leveraging the adaptive leadership model to make strategic investments in public education. 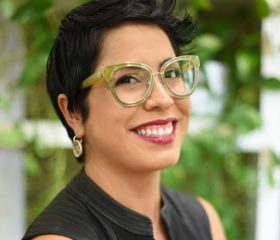 In 2002, she co-founded Sapientis, an organization that connected and engaged change agents in all sectors of Puerto Rico to improve public education. She went on to start Flamboyan in Puerto Rico in 2008 and opened the Washington, DC office in 2009. Kristin is the founding board chair at DCSRN, vice-chair at Teach for America-DC and serves as a director at the United States Olympic and Paralympic Foundation. She also sits on the investment committee at Education Forward DC and the neurosurgery advisory board at Johns Hopkins Medicine. She is a Pahara-Aspen Education Fellow and a member of the International Women’s Foundation-DC. She previously sat on the Board of Directors at both Venture Philanthropy Partners and Stand for Children. For her work with Sapientis, she was named Entrepreneur of the Year by Ernst and Young in the area of Social Responsibility. Kristin also holds a B.A. in International Relations from Bucknell University. Vadim Nikitine is the President of Commercial Centers Management, a holding company involved in 6 million square feet of commercial space in Puerto Rico, Florida, the Mid-Atlantic and the Midwestern United States. His companies are actively involved in all phases of the development of shopping centers, mixed-use projects, hotels, and mini-warehouses. In Puerto Rico, Vadim developed the first self storage facilities that rely primarily on solar energy. In the last several years, Vadim has continued to invest in the energy field, primarily focusing on efficiency and alternative energy sources. Vadim is a graduate of Harvard University, where he obtained an undergraduate degree in economic development and sociology in 1989, and a masters degree in Public Administration from the Kennedy School of Government in 2001. Vadim is a co-founder of Sapientis, a non-profit organization committed to improving public education by mobilizing a diverse and informed network of change agents. Additionally, he is on the Board of Rare Conservation, an international environmental non-profit organization, and he has participated in the creation and preservation of a 580,000 acre national park in Peru. In December 2001, Vadim was recognized in Caribbean Business as one of 40 people under the age of 40 having a significant and positive impact on the Caribbean. In June 2003, he received the Entrepreneur of the Year award from Ernst and Young in the field of Real Estate, Construction and Hospitality. Our people are at the heart of what we do. Every member of the team has a unique strength to share. Working together, our team lives out Flamboyan’s core values of people, equity, impact, and catalytic action every day with one goal in mind: to ensure that students most impacted by inequity have what they need to succeed in school and beyond. Michael works closely with education leaders in Washington, D.C. and in other regions of the country to build their knowledge and skill-set around effective and equitable family engagement practices. Education, according to Michael, has the potential to be a way out and a way in – a way out of the historical conditions that have left some communities and neighborhoods in tragic conditions and a way into conversations about reversing racism and socio-economic inequities. Michael’s educational background was built on Counseling Psychology and College Student Personnel Administration. He has spent his career creating clear and accessible pathways to education opportunities for marginalized students and families. Michael is the dad of an awesome middle school boy and a radiant elementary school girl. His two children empower and inspire him to engage daily with the education system and advocate for our youth. You can also hear Michael talk about issues that get him fired up during his weekly podcast. Connect with Michael on LinkedIn. What was your favorite subject or course in school? Ms. Ozimina’s Algebra II/Trigonometry class. I heard negative things about the teacher, but she turned out to be amazing. Strict but passionate. Her strict and direct nature was a technique that accompanied a passion for teaching. Laurie supports the program management of school-wide partnerships and helps synthesize program learnings so that the Program Design team can partner with teachers and school leaders to launch effective family engagement practices. Laurie believes that improving our society as a whole begins with providing every child with a high-quality education, and that in order to achieve this, a focus on equity is necessary. Prior to joining Flamboyan, Laurie was a Research Assistant with the Neuro-Education Initiative at the Johns Hopkins School of Education. She earned a Master of Education with a concentration in Urban Education from Johns Hopkins University. 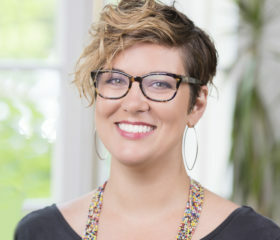 Prior to graduate school, she spent the first six years of her career as a Program Manager at Young Playwrights’ Theater, a nationally recognized arts education non-profit in Washington, D.C. She has also worked in various capacities with the Kennedy Center, Imagination Stage, Arena Stage, and Roundhouse Theater. Laurie holds B.A.s in English, Theater Arts, and Education from Stonehill College. Laurie lives in Takoma Park, MD with her husband and their cat. What was your favorite subject or course in school? English, because imagining myself into stories has always been my favorite form of escape. 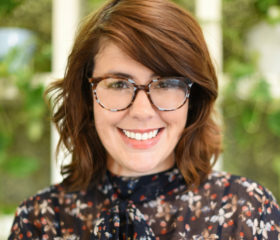 Katie designs content for and supports Flamboyan’s trainers to deliver high-quality professional development to educators across multiple partnerships. 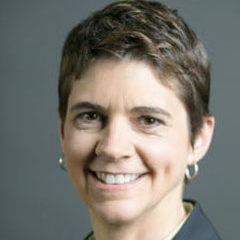 In addition, she co-leads Flamboyan’s Equity Working Group and manages the Family & Teacher Advisory Group – two projects aimed at increasing the collective skill, will, and capacity of the organization to center children and families’ needs and take an anti-bias approach to all of our programmatic efforts. Katie’s passion for education is rooted in her commitment to dismantling systems of oppression and to ensuring equitable opportunities for all children. 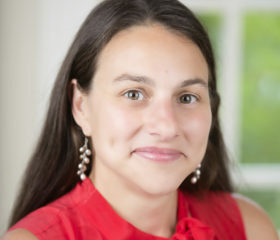 As a former Master Educator for District of Columbia Public Schools (DCPS), Katie’s most recent role before Flamboyan was spent evaluating and supporting teachers in early childhood and language acquisition classrooms across the district, as well as facilitating workshops on issues of race and equity in education to central office staff. She spent over a decade in Public Charter Schools in D.C., serving as a Co-Founder, Director of Student & Family Services, and Primary Teacher. Katie has a Bachelor of Arts in Criminal Justice from The George Washington University. Katie has lived in Washington D.C. for over 16 years and enjoys camping, cooking, and spending time at home with her two children and two dogs. Her favorite part of working at Flamboyan is the relationships she builds with her colleagues, as well as the teachers and parents who train on behalf of the foundation. Connect with Katie on LinkedIn. What was your favorite subject or course in school? The Sociology of Law. I am fascinated by the intersection of identity, politics, culture, law, and education. At Flamboyan, Julianne supports middle schools with implementing best practices in family engagement, and works with high schools to uncover contextually relevant family engagement practices. She is drawn to education work because she believes it is her entry point to pushing us towards an equitable society. She also believes that access to quality education for the most disenfranchised students and families is crucial to our liberation. Prior to Flamboyan, Julianne was a co-founder of a charter school in her hometown, where she was responsible for engaging with and empowering families and students. She was also charged with building a bridge to the greater community in service of the city. She began her career in education as a 2009 Teach For America (TFA) Corps Member at Roosevelt High School in Petworth. Julianne subsequently used her eye for talent matching and program design at TFA-Chicago-NWI, Chicago Public Schools, and Koya Leadership Partners. Julianne holds a Bachelor of Science Degree in Psychology from Purdue University, and a Master of Education Degree in Special Education, from George Mason University. In 2017, she was selected as a Surge Institute Fellow. Julianne’s passion for philanthropy and family engagement dates back to college. She believes her role at Flamboyan allows her to pursue both. What was your favorite subject or course in school? My favorite subject in school was English, but that was due to having incredible language and composition teachers throughout secondary school. Once I grasped command of the English language, I was able to defy convention, and use language as a vehicle for expression. Samantha co-leads Flamboyan’s programmatic work. In her role, she works to support and facilitate our effective family engagement team to design and implement strategic programming that impacts teachers, students, and families in the district and beyond. She started her career as a first grade teacher in Atlanta, a fitting role considering that she defines education as the bedrock on which everyone can build their own personal and professional path. Samantha believes education ought to unlock potential, rather than serve as a gatekeeper. In addition to teaching, Samantha has held many leadership positions. She’s worked as an instructional coach, district administrator, charter staff member, and served in adjunct roles in higher education. The unifying element across her career is teaching, building generational leadership, learning, and deepening her awareness of equity. Samantha is the proud mom of Julian. The challenge of being the mom of a toddler and being a new mom in general, is teaching Samantha to be a better human. Connect with her on LinkedIn. What was your favorite subject or course in school? High School Debate. It taught me research skills, communication skills, and gave me inner confidence. I also met my husband on the debate team. 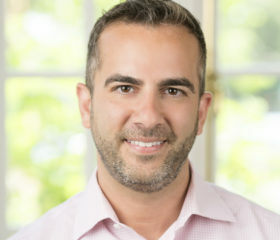 Robert spends his time on strategy, design, and execution of Flamboyan’s Pre-K through 12 school partnerships to support the unique and ongoing needs of students and families throughout their educational career, ultimately building a cohesive through-line across all grade levels. Robert grew up in Detroit, and witnessed inequity in education through the Detroit Public School system. While he’s thrived, he doesn’t overlook the many students who still don’t have the tools and resources they need to graduate high school prepared for college, career, and beyond. That’s one of the reasons why he’s spent the past ten years working to eradicate the injustices that plague the education system. Robert began his career as a first-grade teacher in Washington, D.C.. He eventually transitioned from a classroom educator to Teach for America as a coach, partnering with more than 15 schools in the D.C. metro area to support teacher and leadership development. There, his role focused on elementary curriculum, classroom management, and family engagement. In 2013, Robert founded Achievement First Aspire Elementary School in Brooklyn, New York. As assistant principal, he created and supported the execution for high impact family engagement. Robert lives in Washington, D.C. with his partner, Jay, and their dog, Kona. Who was your favorite teacher in school? Ms. Roby! She had a nurturing and reassuring presence, which allowed me to feel a sense of belonging and pushed me to thrive. At Flamboyan, Cecily supports, facilitates and generates evaluation practices, tools and reporting structures for the foundation’s effective family engagement programming. The evidence Cecily gathers and produces will support the identification and dissemination of effective family engagement strategies and innovations in DC and beyond. Cecily is drawn to this work because she grew up in a family of educators, has worked toward the improvement of equitable educational opportunities her entire professional career, and embraces the potential for effective education to impact and inspire each generation of children and youth. 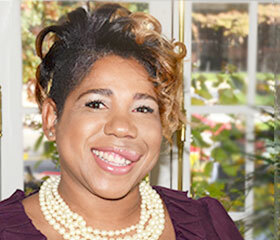 Prior to Flamboyan, Cecily served the students of Prince George’s County Public Schools (PGCPS) as the Executive Data Strategy Coordinator in the Division of Human Resources, where she led the human capital strategic initiatives for the school district. She was an Evaluation Specialist with the PGCPS Department of Research and Evaluation prior to joining the Human Resources team. 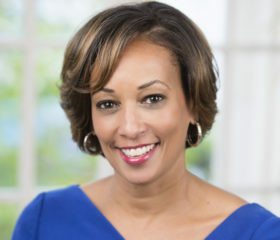 Working with PGCPS since 2010, her entire professional career has been in support of equity in education, including extensive experience with strategic planning and implementation, quantitative and qualitative data analysis, formative and summative evaluation, and a variety of research experiences. 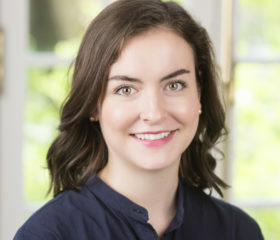 Cecily’s prior work experience includes research with the University of Maryland, College Park, U.S. Census Bureau, and the American Institute for Research. She is a graduate of Spelman College, with a Bachelor of Arts in Economics, and doctoral studies at the University of Maryland, College Park in Sociology. Cecily’s community service work is focused on the children of Montgomery County, MD, where she serves on the Montgomery County Commission on Children and Youth and is raising two awesome sons who are growing into young men that will change the world in ways that she can only dream of. Connect with Cecily on LinkedIn. What was your favorite subject or course in school? The Sociology of Education because we unpacked the potential for education to disrupt the social structures and systems that have historically marginalized and excluded some young people, while privileging others. We pushed each other to be critical learners, and active owners in support of education. As President and Board Chair of Flamboyan, Kristin sets the vision for the organization based on the unmet needs of students most impacted by inequity in Puerto Rico and Washington, D.C. She works closely with the Executive Director in Puerto Rico, Chief Operating Officer in Washington, D.C., and the Flamboyan Board to identify a programmatic strategy that is aligned with our core values of people, catalytic action, impact, and equity. Kristin believes that people closest to the problem have the key to solving it. Committed to education, she realizes that the lack of quality education for minority students is problematic. Therefore, she spends time listening to and learning from key stakeholders in students’ networks to better understand how we can ensure all children have the academic support they need to thrive. Kristin taught for three years as a Teach for America Corps member. Later, she went on to serve as Executive Director of the Teach for America New Jersey region and then as Director of New Site Development. She attended Bucknell University and earned a B.A. in International Relations. She also holds a Master’s degree in Public Administration from Harvard University’s John F. Kennedy School of Government. 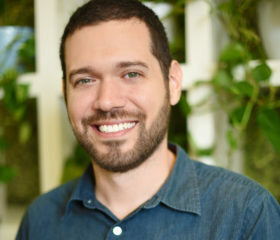 In addition to finding and establishing Flamboyan, Kristin and fellow Kennedy School alumnus Vadim Nikitine started Sapientis, a nonprofit organization dedicated to mobilizing a diverse and informed network of change agents committed to improving the quality of public education in Puerto Rico. Kristin was also part of the founding team of D.C. School Reform Now, a non-profit organization committed to supporting education reform in Washington, D.C. She sits on the boards of Sapientis, DC School Reform Now, Stand for Children, Teach For America (D.C. Region), and Venture Philanthropy Partners. In the spring of 2005, Ernst & Young named Kristin “Entrepreneur of the Year” in the area of Social Responsibility for her work at Sapientis. She lives in Washington, D.C. with her husband, Vadim, and their two children. In Kyle’s role, she partners with school-based teams across Washington, D.C. to help them identify their unique communities and create conditions and systems that foster strong relationships between families, educators, and students. Kyle yearns for a world where every person feels valued, empowered, successful and cared for. Education, she believes, is meaningful head and heart work that can help make steps toward that world. Kyle started teaching middle school English and History in Portland, OR, where her commitment to education began. When she moved to Washington, D.C. in 2009, she took on positions that lent her skills to help improve District of Columbia Public Schools (DCPS) and D.C. Charter Schools. She conducted qualitative school reviews for the District of Columbia Public Charter School Board and wrote curriculum for Rising Educators on equity, cultural competence, and bias. 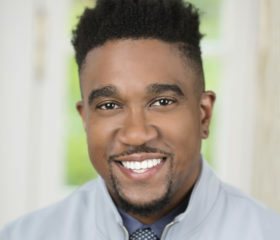 In previous roles, Kyle was a leadership coach to D.C. area teachers for Leading Educators, a school-based program manager of the Catalyst program for DCPS, and an instructional coach for Friendship Public Charter Schools. Kyle earned a M.Ed. and Administrative license from Portland State University and holds a Bachelor of Arts in History from Ohio University. Kyle lives with her husband, two children, and dog in Washington, D.C. Connect with her on LinkedIn. What was your favorite subject or course in school? Science. I loved the social aspect of lab work and problem solving with my peers. I loved observing and learning about interconnections of the natural world. I love the outdoors: trees, animals, mountains, oceans. My appreciation of the natural world continues to grow every time I get a deeper understanding of science. Priscilla manages day-to-day office administrative duties to ensure Flamboyan Foundation is a high-functioning, efficient organization. Priscilla has committed her career to education because of her deep understanding in the transformative power of education. She believes students should feel empowered, supported, and valued throughout their educational journey. Prior to joining Flamboyan, Priscilla studied at the University of Malta during a six-month internship with Migrant Women Association of Malta. She has held internship positions at Legal Services Corporation and Orr Associates, Inc. In addition to her global studies in Malta, Priscilla studied in South Korea while working at Mason Korea as an International Peer Advisor. She is pursuing her degrees, expected in May of 2019, in Government and International Politics and Global Affairs at George Mason University. Priscilla is inspired by traveling, and recently started her own travel and culture blog. Connect with her on LinkedIn. What was your favorite subject or course in school? World History; It sparked my curiosity about the world and helped me better appreciate and embrace its diversity. In Apeksha’s role, she collects data to help the program team reach its goals and improve practices. By supporting the vision and development of the robust data platform, Flamboyan’s partners have the tools and resources necessary to lead effective family engagement practices. Apeksha’s experiences as a first-generation college student drives her commitment for education. She is living-proof that there is a powerful outcome when a family’s dreams are combined with an educator’s passion. She’s come to realize that partnership between families and educators is essential for students – a sentiment shared by Flamboyan Foundation as well. 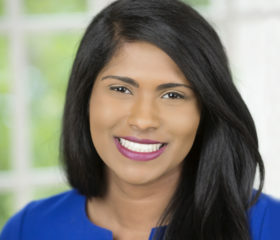 Prior to taking on this role, Apeksha gained extensive research experience at the Health and Cognitions and Behavior Research Lab at George Washington University, her alma mater. A psychology major, she spent her time applying social psychology theories to examine cognitive, affective, and situational factors that affect decision-making. She’s most proud of her work with the National Institute of Health funded research project, which focused on the relationship between racial discrimination and HIV/AIDS contraction in young African-American adults. This defining moment in her career sparked her interest in dismantling systems of power that prevent equal access to resources and education. Apeksha is her happiest self on her yoga mat, completely engaged in mindfulness. Connect with Apeksha on LinkedIn. What was your favorite subject or course in school? Art History because I’m passionate about the fine arts, but I’m not much of an artist. Kim works to support cohesive programming and equitable family engagement trainings and curriculum across Flamboyan school-based partnerships and national efforts. Kimberly’s mother always told her that education paves the way. Like her mother, Kim believes that education is an empowering experience that all children and families deserve. Before taking on her role at Flamboyan, Kim worked as a research assistant at Hobert and Williams Smith Colleges, her alma mater. She analyzed and sifted through Black press of the 1960s through the 1980s. Kim believes that the best decision she’s made yet was when she relocated from California to D.C. to work at Flamboyan. Connect with her on LinkedIn. My second grade teacher. Mrs. Arnold went the extra mile to make sure her students felt like the classroom truly was our second home. Karen works from our Puerto Rico office, supporting the design and creation of classroom libraries for K-3rd grade public school teachers. She spends her time training teachers in the practice of reading aloud. Her skills and expertise are dedicated to the development and implementation of programs that strengthen the teaching of reading to ensure that every public school student reads proficiently by the end of third grade. Karen believes that when we make education, books, and best-reading practices more accessible to children and their teachers, we help to make a better and more equitable community. This eventually leads to all children having the opportunity to succeed and thrive. Prior to Flamboyan Foundation, Karen worked at the Centro para el Estudio de la Lectura, la Escritura y la Literatura Infantil as a Research Assistant. 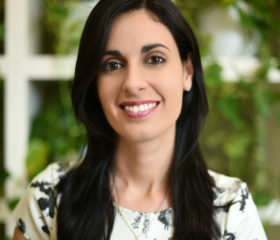 Eventually, her career led her to the classroom as a kindergarten teacher and professor at the Elementary Laboratory School of the University of Puerto Rico, Rio Piedras Campus. 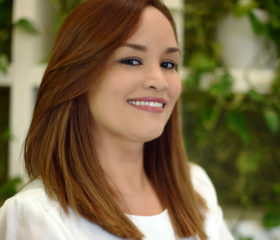 She holds a Master’s degree in the Teaching of Reading and a Bachelor’s degree in the Teaching of English to Spanish Speakers, both from the University of Puerto Rico, Río Piedras Campus. A passionate advocate for reading, Karen is a member of a committee dedicated to organizing, promoting, and realizing an annual international reading marathon day in Puerto Rico. She also co-founded the Proyecto Alianzas de Lectura Puerto Rico – Guatemala, a pedagogical and investigative initiative aimed at the promotion of reading, the formation of readers, and the integration of children’s literature to curricular content. Karen is an animal lover. She has three big and friendly cats named Chili Pepper, Pequeño, and Aria. Who was your favorite teacher in school? My kindergarten teacher, Mrs. Zenzola. She was one of the key people who, along with my mom and dad, truly nurtured and helped blossom my love for books and reading. To this day I cannot help reading Where the Wild Things Are by Maurice Sendak and remembering the captivating way in which she read the words on each. As co-designer of systems and structures, Stephen supports effective family engagement operations and finances, and supports the organization’s grant management processes. Stephen, who is a Teach for America alumnus, taught middle school math in Boston. He believes that all students deserve the opportunity to receive an excellent education. Stephen earned a Master of Education from Boston University, where he majored in Curriculum and Teaching. He also has a Bachelor of Science degree in Business Information Technology with a concentration in Operations and Supply Chain Management from Virginia Tech. Stephen loves biking and being outdoors. What was your favorite subject or course in school? Math because it let me problem solve and think critically on a daily basis. Justin’s work at Flamboyan focuses on our family engagement strategy and implementation, with an emphasis on our system-level and product work. Realizing that not all students are afforded a quality education or access to tools and resources that help them succeed, Justin believes equity in education ultimately leads to greater opportunities for all children. Justin began his education career in Phoenix, Arizona as a sixth grade Teach for America teacher. He spent several years on Teach for America’s staff, holding a number of positions where he led a team of recruiters, data system efforts, and strategic initiatives. Later, he joined the Office of the State Superintendent of Education (OSSE) in Washington, D.C., and led the creation of a statewide longitudinal education data system. Just before joining the Flamboyan team, Justin worked at The Achievement Network (ANet) for six years. He served as the founding Executive Director of the DC region, where in four years he built a network of over 70 district and charter schools and led a team of coaches working alongside school leaders to drive breakthrough results for their students. Later, he became Vice President of Product Strategy, leading the enhancement of ANet’s technology platform and partnerships in support of schools. Justin holds a Bachelor’s degree in Psychology and Political Science from the University of North Carolina and an EdM in Curriculum and Instruction from Arizona State University. 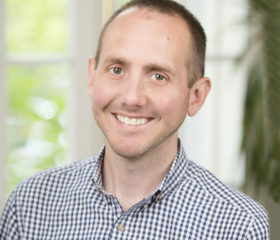 Justin lives in Washington, D.C. with his wife and three children, the oldest two of whom attend a DC Public School where he currently serves as Local School Advisory Team (LSAT) co-chair. Connect with Justin on LinkedIn. Who was your favorite teacher in school? Mr. Ito, my fifth grade teacher. He took the time to get to know and value all of his students as individuals. He was innovative and creative, and he made learning fun. Julian spends his time analyzing information gathered from our different education programs in Puerto Rico to study elements that work well and areas in need of improvement. Overall, his role is data and information oriented. Julian sees the bigger picture in education as an investment for a better and more just future. Before joining Flamboyan, he worked at the University of Puerto Rico as a Teacher Assistant and Lecturer. He led courses in statistics, research, and methods. Julian also worked as a consultant for other research initiatives led by public and private organizations. 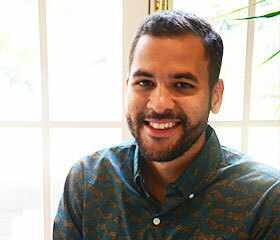 Julian enjoys origami, reading non-fiction novels, playing video games, and traveling. Connect with him on LinkedIn. What was your favorite subject or course in school? Science. I had a lot of questions regarding everything around me. This subject gave a lot of interesting and fascinating answers! Enery’s role focuses on Herramientas Para Comprender, our Puerto Rico based professional development program for teachers of K-3 students. As head of the initiative, Enery facilitates trainings and other hands-on approaches that support teachers to lead classroom instruction on reading comprehension skills. Simply put, Enery believes education is an empowering and fundamental human right. She taught in public and private elementary schools in Puerto Rico and in the United States. Previous positions has taken her career global. Before joining Flamboyan, she worked at UNICEF and Sesame Workshop. Enery holds a Master’s degree in International Educational Development from Teacher College, Columbia University. Enery, who advocates for child-led playful interventions in the city, is working toward a Master’s degree in Urban Planning. Connect with her on LinkedIn. Who was your favorite teacher in school? Mrs. Peña. I can’t remember class routines, but I do remember her nurturing side. Her kindness made my third-grade days better. Megan develops and supports the strategies for how Flamboyan collects, codifies, and disseminates learning – both internally and externally. This ranges from fellowship recruitment and training content to website support and designing and piloting internal structures to ensure all team members have the programmatic knowledge to do their jobs effectively. Megan is committed to education and believes an excellent education should be a right, not a privilege. She attended Florida State University and majored in Communication Studies. After college, she joined Teach For America as an Early Child corps member serving in Prince George’s County, Maryland. While teaching at a placement school, she earned a Masters in Curriculum and Instruction. She eventually joined a turnaround school in Southeast D.C., DC Scholars: Stanton Elementary, where she taught for 4 years. During her time at Stanton, she began to understand the importance and impact of engaging in meaningful partnership with students’ families. Megan is a mother of two and a D.C. resident. Who was your favorite teacher in school? Mrs. Trimner, my fourth grade teacher. She made learning fun and supported us to be kids and individuals. Mrs. Trimner supported our passions and interests and made sure our days were filled with joy and learning. Katherine directs the strategic planning, development, and implementation of strategies to achieve Flamboyan’s outcomes, which focus on ensuring that all public school students can read at grade level by third grade. Katherine was raised in a family of educators, and understands the potential of education to transform lives. Taking on the legacy of her family, she worked as a teacher, adjunct professor, teacher coach and educational consultant on a range of projects in public and private institutions across the island. She also collaborated on educational and nonprofit initiatives with organizations such as the Enlace Literacy Program, másTaller Collective, and the Comité Pro Rescate y Desarrollo de Vieques. Katherine holds a PhD from the University of Puerto Rico, an Masters of Art from Sacred Heart University, and a Bachelor of Art from New York University. Katherine is originally from New Jersey, but Puerto Rico has been her home since 2004. What was your favorite subject or course in school? Any literature class. Literature exposed me to worlds I would never have encountered in my own life. Erika works to maximize Flamboyan’s operating efficiency in our Puerto Rico office. She manages and oversees the day-to-day operations to provide support and maintenance of organization-wide finance, human resources, and technology systems. Erika was just sixteen when she first learned about Flamboyan Foundation. As a senior in high school, she joined Flamboyan as an intern, and the exposure gave her a first-hand account of the impact and valuable work Flamboyan was leading to transform teaching in the public education system. Erika believes that education provides an opportunity to build a better society. After completing her internship and graduating with a Business Administration in Management degree, she was promoted to a full-time role at Flamboyan. Who was your favorite teacher in school? My seventh grade science teacher had a peculiar way of teaching composing songs about the topics to be discussed in class. I still have the songs in my mind. María serves as the primary liaison between schools, Puerto Rico teacher partners, and Flamboyan. Her main focus on our educational programs requires her to coordinate and implement an outreach strategy, supervise logistics, and provide administrative support. Maria believes that a high-quality education gives children access to a world of possibilities and opportunities. For 20 years, she’s worked with committed non-profit organizations and higher education institutions to support the professional development of teachers from the public school system in Puerto Rico. Education and teaching are at the core of Maria’s career. In addition to many roles she’s help advancing the leadership skills of others, she also worked at an international business school in Eastern Europe. There, she taught community service related courses that gave students the knowledge to implement service oriented initiatives in their companies and communities. Maria has a Bachelor’s degree in Business Administration and earned a Master’s degree in Non-profit Management. Maria is good at many things, but she’s her best at being Nikolas’ mom. What was your favorite subject or course in school? Geography opened my eyes to the wonders of the world. It made me think: the world isn’t that big, it is reachable. Patience oversees brand strategy, marketing, media relations, and leadership visibility efforts for the foundation. Patience, who attended public schools in Washington, D.C., is committed to working on education because she believes it is the foundation of opportunity in this country. 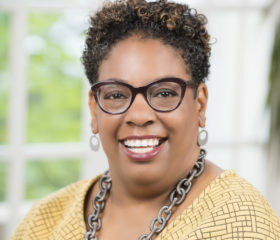 Before joining Flamboyan, Patience served as the Director of Communications and Community Engagement at D.C.’s state education agency, the Office of the State Superintendent of Education (OSSE). She led OSSE’s communications, brand, digital media, internal communications, crisis communications, and co-led the agency’s internal culture change efforts. Prior to her role at OSSE, Patience held leadership positions at several national nonprofits. She served as Vice President of Communications and Creative at the national poverty-alleviation organization, LIFT, where she led internal and external communications and brand strategy. Patience supports several local and national charities and is a board member of New Futures, an organization that helps underserved young people get through a certification or community college degree and into a rewarding career. 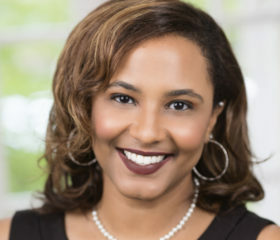 She holds an Executive Master of Global Strategic Communication from Georgetown University and a Bachelor of Science in Marketing from Hampton University. A native Washingtonian, she’s committed to making communities stronger and closing the opportunity gap. Patience lives in Hyattsville, Maryland with her husband Dan, an educator, and very energetic toddler daughter, Peyton. Connect with her on LinkedIn. Who was your favorite teacher in school? My 8th grade English teacher. She recognized, cultivated, and encouraged my hustle and entrepreneurial spirit. From encouraging me to give speeches in front of the school and submit pieces for writing contests, to helping me apply – and get into – one of the best high schools in D.C., she watered my innate strengths and helped me obliterate self doubt. Her encouragement and opportunities changed the trajectory of my life. Paola manages the office atmosphere, creating a pleasant and efficient environment where every team member in Puerto Rico has what they need to do their best work. She spends time fielding calls, welcoming guests, completing administrative tasks, and supporting the Operations Manager and Executive Director. Paola has no doubt that education is the basis for producing lasting change in our generation and for those who follow. She is dedicated to education because she believes it is the solution to problems and that society must provide youth with the tools necessary for personal development. Paola has a Bachelor’s degree from the University of Puerto Rico in Audiovisual Communication. She’s pursuing her Doctorate degree in Curriculum and Teaching, with a subspecialty in learning technologies. Her goals is to create inclusive educational resources using technology as a learning tool and virtual learning environment. Paola is an educator for life. Not only does she see herself teaching students, but she also instructs educators. Her goals is to help students learn through an art, playful lens. Her role as a teacher trainer gives her a platform to teach over 400 Science, Technology, Engineering, and Mathematics (STEM) educators. What was your favorite subject or course in school? Spanish and art. Both were spaces of learning that allowed for self-discovery, reaffirmed my interests, social perspectives, and developed my skills from a semiotic perspective. Cynthias oversees Flamboyan’s overall organization-wide operations, including finance, human resources, office administration, and grants management. Cynthia’s passion for education is rooted in her desire for students to have the supports they need to overcome barriers. Her hope is for committed educators to work together to move the needle to ensure there is greater equity and opportunity for all students. Before Cynthia joined Flamboyan, she served as Vice President of Operations for The Heart of America Foundation, where she oversaw organizational processes, strategic planning, Human Resources, and IT. Cynthia also worked as the Director of the National Book Program for Reading Is Fundamental. During the earlier years of her career she supported Education Sector programs as a bilingual liaison for the Peace Corps Inter-America Region. Cynthia’s love for operations is tied to her love for puzzles, crosswords, Sudoku, and anything that teases the brain. Who was your favorite teacher in school? Ms. Ponko was my high school biology teacher and she managed her classroom with enthusiasm and ease. She made biology approachable, meaningful, and fun. Isabel works with teachers and schools in Puerto Rico to support the implementation of programs that leverage professional development, consulting, and training to strengthen literacy practices. In addition, Isabel co-designs and co-creates materials to enhance reading practices for students who are in kindergarten, first, second, and third grades in Puerto Rico. Children inspire Isabel, who was formerly a kindergarten and pre-school teacher at The School of San Juan. There, she also worked as an Academic Coordinator. As an educator, she’s an agent of change who facilitates significant educational experiences for teachers, students, and families. She aims to continue the mission of bettering the quality of education and guaranteeing that all children have access to the same educational opportunities. Isabel attended the University of Puerto Rico, Rio Piedra Campus, where she earned a Bachelor’s degree in Pre-school Education and a Master’s degree in Teaching of Reading. Isabel participated in a life-changing special project that expanded her awareness on the impact conversations on the environment and natural resources can have on students growth and development. Who was your favorite teacher in school? Mr. Bruce taught me that language should never be seen as an obstacle or a barrier. Most importantly, he taught me that reading can teach you amazing things, and it can also show you the reality of the world. Mr. Bruce’s class was memorable and inspired me to believe in myself. Jacqueline spends time assessing the unique needs of students and families in the secondary grades, the age-appropriate roles that families play to support student success, and the strategies that schools use to effectively engage families in order to design family engagement programming for middle and high schools. 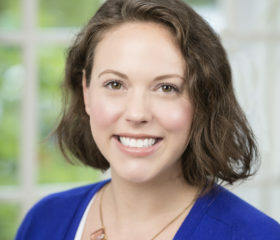 In addition to coaching middle and high schools throughout Washington, D.C., she also manages the secondary team of family engagement coaches, supporting them to build the capacity of teachers to include families as partners in their child’s education. Jacqueline taught middle and high school science students, and is passionate about providing students in the District with a quality education so they have what they need to pursue future opportunities and develop strong character. Most of her career as a teacher was spent teaching sixth graders at KIPP DC: KEY Academy. At KEY, she wrote curriculum, managed the sixth grade faculty, and designed and implemented a family engagement plan across the lower middle school. Jacqueline is the mom of two boys, and enjoys being active and outdoors. 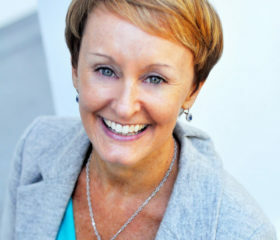 Connect with Jacqueline on LinkedIn. What was your favorite subject or course in school? Biology! I loved learning about how the world and body worked. Robert spends his time working across teams and with staff in Puerto Rico and Washington, D.C. to ensure they’re equipped with operational needs for success. He stands with the belief that education is invaluable in the realization of one’s brightest potential. 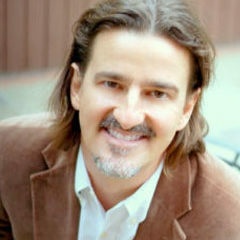 A native of California, Robert earned his Bachelor’s degrees in Latin American Studies and Spanish, and International Politics from American University. Before taking on a role at Flamboyan, he worked with indigenous communities in Bocas del Toro, Panama to combat an inequitable education system and promote a richer future. Who was your favorite teacher in school? Mr. Strand, my third-grade teacher, whose dynamic lessons kept my nine-year-old brain engaged. Rosiris spends her time creating written and audiovisual content – videos and photos – to help communicate our programmatic work and the organizational aspiration towards a better education for students in Puerto Rico. Rosiris works with staff in our Puerto Rico and Washington, D.C. to ensure Flamboyan’s audiences are informed about the positive impact our programs and services have on students most impacted by inequity. Rosiris deeply believes that there is only one path to real success – nurturing every person’s life with the acquisition of knowledge because education is the key to overcome inequity. Rosiris has worked to improve and shed light on inequities throughout her career. 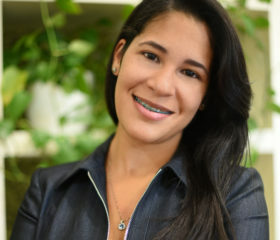 Before joining Flamboyan, Rosiris served as Programming Coordinator at the only public and education centered TV station in Puerto Rico – Sistema TV, Canal 40. She also worked at Prensa Comunitaria, an organization centered on the social journalism. There, she assigned and covered news on some of the most disadvantaged communities on the island. Rosiris spends a lot of time admiring the beauty of nature on the island, where any short trip leads to mountains, caves, rivers, and amazing beaches. What was your favorite subject or course in school? History. It is fundamental for every generation to have the opportunity to know the struggles, suffering, and conquers of the people who lived before us. Alicia works across our Washington, D.C. and Puerto Rico offices to support teams and staff to recruit, retain, and develop diverse talent. Her role is dedicated to ensuring equity is at the center of all talent management practices. Alicia is committed to education equity because it is the surest way we can end poverty to ensure all students have opportunity and access to an excellent education. Prior to joining Flamboyan, she was chief career catalyst for EdPlus Consulting, an organization she founded and led for four-and-a-half years out of a desire to improve educational equity for marginalized communities by bringing the right people to the right work. With nearly twenty years of hands-on experience in early childhood through 12th grade urban education, Alicia served as an instructor, non-profit manager, talent/human assets executive and career search/development coach. She began her career in education in 2001 teaching first-grade students in D.C. Public Schools (DCPS) through the inaugural class of D.C. Teaching Fellows. She went on to be a founding faculty member at D.C. Prep, where she eventually served as the Chief Talent Officer. Alicia believes that one of the most important things society can do to improve the struggles of public education is support education professionals to partner with those who influence a child’s educational experience. Connect with her on LinkedIn. What was your favorite subject or course in school? History and Social Studies because I believe in the potential of all people and think that understanding our history can be both inspiring and healing. As Executive Director, Carlos shapes, implements, and oversees all aspects of the Foundation’s mission-driven work and programmatic strategy in Puerto Rico. Carlos believes education is one of the most important tools we have to achieve a more just society and disrupt barriers of inequity. Before joining Flamboyan, Carlos was an engineer and business strategist focused on solving complex operations and logistics challenges faced by Fortune 500 companies. Prior to that, he supported sales, finance, operations, and federal regulatory compliance for Univision Communications, Inc. He earned a Bachelor’s degree in Industrial Engineering and a Master’s degree in Industrial Engineering from the Georgia Institute of Technology. He has a Master’s in Business Administration (M.B.A.) from The Wharton School at University of Pennsylvania, and a Juris Doctor from the University of Puerto Rico School of Law. Carlos is a licensed Professional Engineer (PE) in the jurisdiction of Puerto Rico, a member of the Puerto Rico College of Engineers and Surveyors (CIAPR), and a member of the Puerto Rico, Florida and Washington, D.C. BAR. Carlos likes traveling. Getting to know other countries and its peoples broadens his perspective and develops his empathy. What was your favorite course of subject in school? Literature. It reignited the love I felt for reading when I was a kid. Zuleimaris provides programmatic support to the Education Team in our Puerto Rico office. She spends her day coordinating logistics for special projects and events. She believes that education is the key to a brighter and better Puerto Rico. It changes the way we see the world and others. Zuleimaris remains focused on education because a true commitment to it positively changes lives. Zuleimaris has worked for a number of non-profit organization where she’s lent her skills to administrative and communications support. She is passionate about volunteering and spends her free time giving back to youth groups. 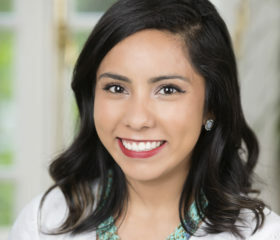 She co-founded Jóvenes Sembradores de Esperanza, an initiative that provides community services to cities in the northwest coast of Puerto Rico. 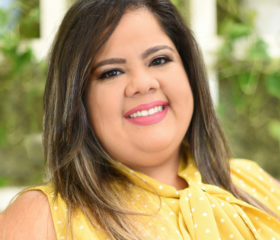 Zuleimaris earned a Bachelor’s degree in Public Relations and Advertising from University of Puerto Rico, Rio Pierdras Campus, where she double-minored in Corporate Communications and Cooperative Administration. She received her Master’s degree in Communication and Education from the Universitat Autònoma de Barcelona. Zuleimaris is skilled in digital strategy, photography, social media management, and salsa dancing. Connect with her on LinkedIn. What was your favorite subject or course in school? Science. I was a very curious kid. I would disassemble and re-assemble things just to understand how they were made and worked. I wanted to be a scientist or an engineer. In Kamille’s role, she partners with school-based teams across Washington, D.C. to help them identify their unique communities and create conditions and systems that foster strong relationships between families, educators, and students. Kamille wholeheartedly believes that education is the gateway to opportunity. She dedicates her time and career to ensuring all children feel empowered to direct their own future. Kamille began her career in education as a Teach For America corps member teaching second grade at an all-girls charter school in Southeast, Washington, D.C. In this role, Kamille strategized and developed innovative ways to form trusting relationships and academic partnerships with families, which yielded student success. Kamille also served as grade-level lead, reading assessment coach, and family engagement teacher lead. 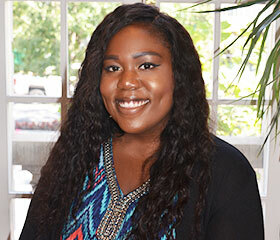 After leaving the classroom, Kamille joined the IMPACT team at the District of Columbia Public Schools (DCPS). 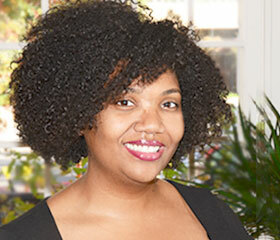 As a policy coordinator, Kamille developed and implemented process improvements to increase the efficiency of IMPACT, the performance-based evaluation system for DCPS employees. Before joining Flamboyan as a full-time employee, Kamille served as a Flamboyan teacher trainer, co-facilitating a professional development series for charter school teachers. Kamille holds a Bachelor of Arts in Government and a Master of Public Policy from the University of Virginia. Kamille is a proud DCPS parent of a Pre-K 4 student and a proud daughter of a DCPS lifelong educator. Connect with her on LinkedIn. Who was your favorite teacher in school? My favorite teacher was Professor Harold. She embodies the power of building relationships with students and deeply inspired me, personally and professionally. As Director of the President’s Office, Kendall works collaboratively across the organization, serving to maximize and coordinate the efforts of the Board of Directors, Chief Executive Officer & Board Chair and President & COO. She oversees all President’s Office and Board operations and manages executive communications. 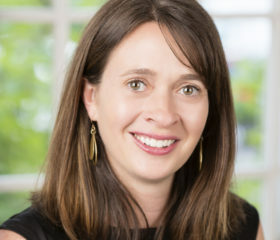 Kendall joined Flamboyan Foundation in 2011 and brings nearly 15 years of experience in family office, nonprofit and foundation environments, where she has played critical support roles to senior leaders. Kendall believes that education is the great socioeconomic equalizer, because once achieved, it cannot be taken away. As a student, she discovered first-hand that education is the lens through which a child can envision broader horizons. Kendall studied at the College of Communications at the Pennsylvania State University. 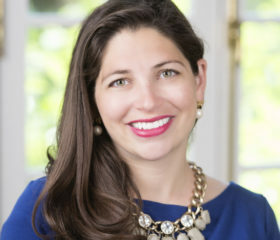 Her professional career started as the assistant to the president of AOL founder Steve Case’s family office, before transitioning to support the family foundation. She provided administrative and development support to two of the Case Foundation’s grantee organizations, PlayPumps International and Accelerate Brain Cancer Cure. 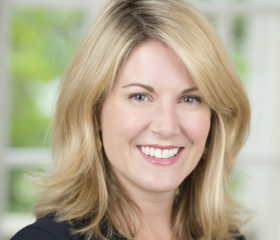 Before taking on her role at Flamboyan, she most recently was on staff at policy consulting firm Education Counsel, providing executive support for the business and client needs of the Managing Director, where she played a key support role in management of the Education Funders Strategy Group, comprised of representatives from nations’ leading policy-focused education foundations. Kendall is a native of the South Shore of Massachusetts, and now resides in Montgomery County with her husband and their son. Connect with Kendall on LinkedIn. What was your favorite subject or course in school? In college, I took a Race and Ethnic Relations class that was an awakening. We explored the systemic nature of racial oppression in America. I believed in the power of that information to inform the work of future leaders that graduated from the university, and spent several semesters teaching the material as a TA. At Flamboyan, Ronald brings Flamboyan’s story to life visually through graphic design and photography and manages Flamboyan’s major web assets including its website and email campaign systems. He believes that education is what fuels the foundation of young people’s success. A graduate of DC Public Schools, prior to Flamboyan, Ronald interned at Clear Code X and Accenture where he helped create an app for DCPS that helps parents view their child’s curriculum. Additionally, he was a public policy intern at Airbnb where he engaged in efforts to develop a positive identity and reputation for the organization. 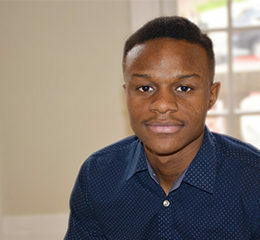 Ronald is pursuing his associate’s degree in Graphic Design at Montgomery College. What was your favorite subject or course in school? My favorite subject in school was Human Geography. I found it incredibly interesting to study the impact of the earths’ environment and its influence on human behavior. Justin supports the growth and development of our coaching team. Justin believes that we can transform our societal institutions so that success and life outcomes are no longer predictable by student identity or any other social factor. 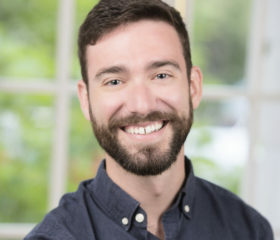 Before joining the Flamboyan team, Justin taught Middle School English Language Arts with Baltimore City Schools and served as a school-based staff developer. He left the school-based role to coach teachers and administrators across ten Baltimore City elementary and middle schools as the district began to shift instructional practices to align with the Common Core Standards. After eight years with Baltimore City Schools, he joined Leading Educators as Program Director of the organization’s Washington D.C. teacher leadership fellowship. 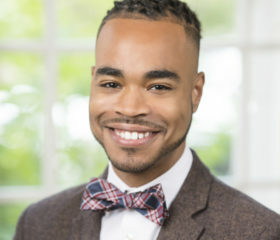 Later, he transitioned to Director, Strategic Consulting, providing consulting services for teacher leadership initiatives for the New York City Department of Education and leaders from urban districts across the country. Justin and his husband have the good fortune of having two boys, AJ and Andre, in their lives. Connect with him on LinkedIn. Who was your favorite teacher in school? Ms. Pazder sparked my curiosity about the world and understood me as a learner. Diana oversees the design and implementation of our family engagement training, national and local fellowships, and district-level partnerships beyond Washington, D.C. Her position is what she calls her “dream job”because she has the opportunity to work with creative and hardworking colleagues who are dedicated to children and families. She believes that while an excellent education is one of our most important fundamental rights, not all children have access to quality education. She is committed to serving public education until the playing field for all students is level. 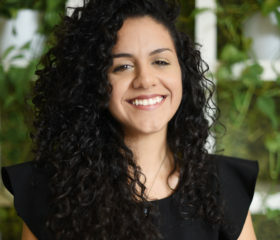 Diana is a Teach for America alumnus. She taught first and second grade at Powell Elementary School, one of Flamboyan’s Family Engagement Partnership schools. 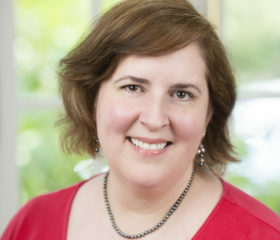 Diana has a Bachelor’s degree in English from Catholic University and a Masters of Education in Curriculum and Instruction at George Mason University. Before Diana started teaching, she co-owned and operated Wagamuffin Petcare, Inc., a local pet care company. Connect with Diana on LinkedIn. What was your favorite subject or course in school? Drama and choir. I loved the creative outlet! As Senior Director, Communications, Neeltje supports our efforts to inform and engage diverse audiences about our approach and the impact our programs have on children impacted by inequity in Puerto Rico. Neeltje believes in the transformative power of education. She’s also passionate about promoting reading and literature and spent the earlier years of her career as a Manager of the Children’s Literature Room of Puerto Rico’s National Library and as General Coordinator of the Festival de la Palabra, a yearly literary event that brings together 50 international and local writers and more than 20,000 visitors. 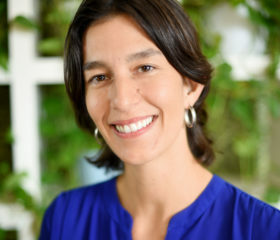 Prior to joining Flamboyan, she worked as Executive Director of the University of Puerto Rico Press. She oversaw publishing, sales, and marketing initiatives of this prestigious academic publisher. She also worked at Santillana, an international Spanish publishing house that specializes in K-12 educational materials where she held two roles as Children’s Literature Editor and Division and Communications Director. I have a Bachelor’s Degree in Modern Languages and Literature from the University of Puerto Rico, Río Piedras Campus. Neeltje volunteers at Proyecto Enlace’s Literacy Program for adults. She’s a lover of words and her four-year-old son. Connect with her on LinkedIn. What was your favorite subject or course in school? Spanish. Because I have always loved to read. 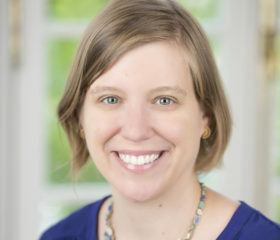 Emily identifies and creates family engagement programming to support early childhood, elementary, and education campus whole-school partnerships by assessing unique needs of elementary-aged students and the roles their families play in grade school. She leads our team of elementary partnership coaches to support school staff to equitably and effectively engage all families. Emily finds true value in the power of relationships and believes that authentic partnership between educators and families creates opportunities for students to succeed. She started her career as a Teach for America corps member. Before making her way to Flamboyan, Emily served as a teacher, instructional coach, and school leader at a D.C. public charter school. There, she sat on the school’s Family Engagement Leadership Team to consider ways to effectively engage families as academic partners. 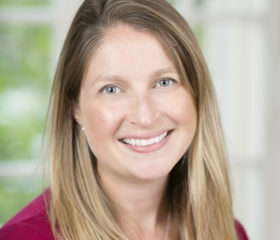 Emily holds a Master of Education in Curriculum and Instruction from George Mason University, and a Bachelor of Science in Elementary and Special Education and Mathematics Instruction from The State University of New York College at Geneseo. What was your favorite subject or course in school? Math! I love logic, reason and problem solving! Eva spends time researching best practices and evidenced-based interventions about early literacy to inform policy and stakeholders about researched-backed practices that benefit the K-3 reading curriculum in Puerto Rico public schools. Eva believes that quality public education is necessary to build a more just and equitable society. Before joining Flamboyan Foundation, she was a professor at the University of Puerto Rico and the School of Visual Arts of Puerto Rico. Eva holds a Ph.D. in Social Anthropology from the University of Manchester in the U.K. One of the highlights of her Ph.D. program was working with Mexican farmworkers to understand the political, cultural, and economic implications of living and working transnationally. Eva is part of a Master Rowing team that includes two of her colleagues from Flamboyan’s Puerto Rico office. Connect with her on LinkedIn. Who was your favorite teacher in school? Mr. Rodríguez. After years of hearing that I was not good at math, he made me love math and believe that I could master the subject! Lindsay executes operational and administrative tasks to leverage the impact of Flamboyan’s CEO and Board Chair and Senior Leadership Team. 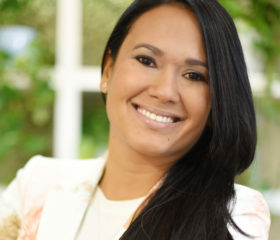 She also manages logistics for internal events and special projects in Flamboyan’s DC and Puerto Rico offices, serving as a liaison for the organization as a whole. Lindsay shares in the belief that all children should have access to a high-quality education no matter their background or life circumstances. Before starting her role at Flamboyan, Lindsay served at NewBridges Immigrant Resource Center in Harrisonburg, VA. There, she managed client casework and developed bilingual communication resources. She also interned at the Children’s Defense Fund (CDF) and curated content related to CDF’s policy priorities. Lindsay speaks Spanish fluently and looks for opportunities to use her language skills whenever she can. Connect with her on LinkedIn. What was your favorite subject or course in school? English. I love the way language and stories open us up to new realities and help us make sense of the world. Marci oversees Flamboyan’s overall strategy, program, and operations. Her work ensures that the foundation is maximizing its cohesion, effectiveness, and sustainability across its offices in Washington, D.C. and Puerto Rico. A nonprofit management veteran with more than twenty years’ experience, she started her careers as a kindergarten teacher in Maryland and has always believed education is the foundation for young people to live their best lives and achieve their dreams. Marci is a “fierce fighter” on behalf of students, especially those who are most marginalized and has spent her career fighting at the local, state, and national levels to improve the lives of children and youth of low-income families. Marci’s track record includes having been a Partner at Venture Philanthropy Partners, Vice President of Impact at United Way Worldwide, and having held leadership roles at Pew Center of States and the Center for the Child Care Workforce. She has served on numerous local and national boards and holds a bachelor’s degree in economics from Stanford University and a master’s degree in early childhood education with a specialization in policy and administration from the University of Pennsylvania. Marci is inspired by the connections and community we share because our shared humanity is a powerful and positive force. Who was your favorite teacher in school? Mrs. Cleveland believed in my success even when I doubted myself. She always pushed me to do my best and overcome challenges (in the classroom and beyond).